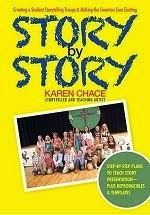 Karen Chace - Catch the Story Bug! : Public Domain - Folktales, Myths & Legends Oh My! Public Domain - Folktales, Myths & Legends Oh My! These are a few of the free antique books I have downloaded from Google books and other online sources. They are now in the public domain for your reading pleasure. Many are also available for download directly to a Kindle so you can read on the go. From time to time I will add more to this blog but for now, ready, set, click! Animal Folk Tales by Anne A. Stanley, published in 1916. Folklore and Legends – England and Scotland by Charles J. Tibbets, 1894. Folk-Tales of Bengal by Lal Behari Day, 1912. Gypsy Folktales by Francis Hindes Groome, 1899. Irish Fairy Tales - Brought to you by James Stephens all the way from 1920; beginning with The Story of Tuan Mac Cairill and ending with Mongan’s Frenzy. Irish Fairy Tales, Folklore and Legend - Illustrated by Geoffrey Strahan and published in 1904 this book offers a variety of English, Scottish and Irish folk-lore. Russian Folk-tales by William Ralston Shedden Ralston, 1880. Full of myths, legends, and folktales of demons, witches, vampires and ghouls if you dare! West African Folk-Tales by W.H. Barker and Cecilia Sinclair – Children love animal and Anansi stories. This book will help add some new tales to your repertoire. 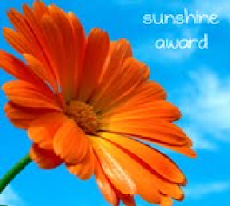 Please note that this is a downloadable pdf file and will require that you open the file to access the stories. Karen, you find the most amazing things! Thanks! Thank you ladies. Your comments really do fill my heart and add a smile to my day!